After all, if corporations can have personhood, why can’t nature? A river and a national park now carry the same legal rights as people in New Zealand, setting a new global precedent thanks to the urging of native Maori groups. 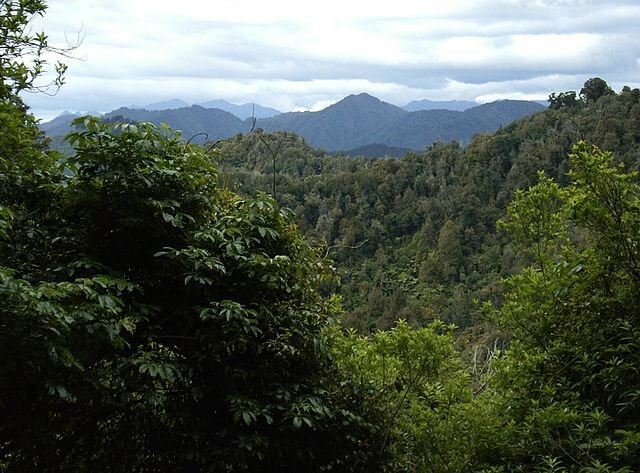 The 821-square-mile Te Urewera park had been protected by the government since 1954, but in 2014, the government gave up ownership and the territory assumed its own legal rights. The Whanganui River, meanwhile, is the third largest river in New Zealand and this new protection will keep it free of dams and other degrading developments. It might seem weird to think of fields, trees, rivers, and so on, with their own legal rights, but to the Maori people, it makes perfect sense. While European-influenced cultures have traditionally viewed nature as the property of man (and thus fully exploitable), the Maori people — along with many other indigenous groups — do not impose this hierarchy on the world. Instead, they view humans, plants, animals, and the natural world as having equal claims to life. When viewed from this perspective, it’s logical to extend the same legal protections to bodies of land and water and all the organisms found on them. “This settlement is a profound alternative to the human presumption of sovereignty over the natural world,” Pita Sharples told The New York Times. The past decade has seen a loosening of “personhood” distinctions in other ways. For example, in the 2010 Citizens United US supreme court ruling, corporations were granted personhood. Two chimpanzees almost gained legal status as persons last year, before a New York judge shot down the ruling. For conservationists and those worried about climate change, this is a landmark decision. It gives them a whole new — and potentially more powerful — method for protecting the environment from further degradation. Through “personhood,” a lawsuit can be brought on behalf of land or water. In the past, lawsuits would have to hinge on some human factor — if a human was being harmed by pollution, for instance. Now, defenders of wildlife can be more aggressive in their legal challenges to overdevelopment, deforestation, pollution, and more, by showing that the rights of the park or river are being harmed. For Te Urewera, this means that activities like hunting and fishing will be more tightly controlled, but people will still be able to spend time in it. Other countries are taking note of the “personhood” option. According to The New York Times, Canada is already looking into the matter. Even as development continues around the world, there has been a push for more conservation in recent years. In Europe, there has been a movement for “rewilding” landscapes, which effectively means removing all trace of human impact. The global exploitation of oceans has caused countries like Palau, Chile, and Britain to create massive marine reserves. Deforestation rates have slowed by 50% in the last 25 years and countries like Norway are trying to bring their impact on forests to zero. The US has greatly expanded national park protections in the past decade. These efforts will face challenges in the years ahead, but the conservation movement is being bolstered by international agreements that climate change is bad and sustainability can lead to a more prosperous future for all. By taking action on Global Citizen, you will have a chance to win tickets to this year's Global Citizen Festival in New York City on Sept. 24, 2016. Learn more about the Global Citizen Festival here.